Wonderful and relaxed stay! The hosts were friendly and hospitable. They had loads of advice and it was spot on. The location is great and it is easy to walk into town after a day of touring around. Both Yannis and Elvira were amazing hosts, and generous with the provisions in the flat. They provided a good variety of breakfast and some local treats. Elvira kindly offered to wash a couple of clothing items that I needed. I would definitely stay in that apartment again. 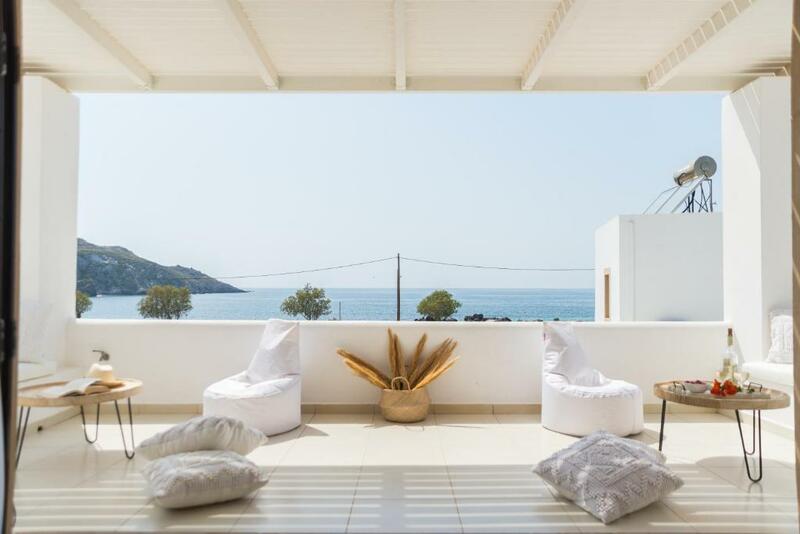 The location was ideal for enjoying the action in Skala. The best part of our stay was the sound of the waves and the sea breeze that came through the open window in the bedroom. The property of this aparatments is really nice. The area is very quiet so you can sleep with open windows. Hosts are really nice and helpfull. The apartment is beautifully furnished and has a very nice terrace. They provided us with excellent breakfast and clean towels and linen everyday. Elvira and Giannis are the best host, they picked us up from the port and ensured we had a good stay in Patmos. Amazing! Elvira and her husband were super welcoming; they have provided everything I needed, and their warmth and care were beyond my best expectations! Apartment itself is very spacious (larger than it would look from photos), recently renewed, very cozy and clean. Location is cool - sea (and wonderful sunsets) are in direct view. I’d certainly love to stay here again, and obviously recommend it to anyone looking for a great place to stay at Patmos. 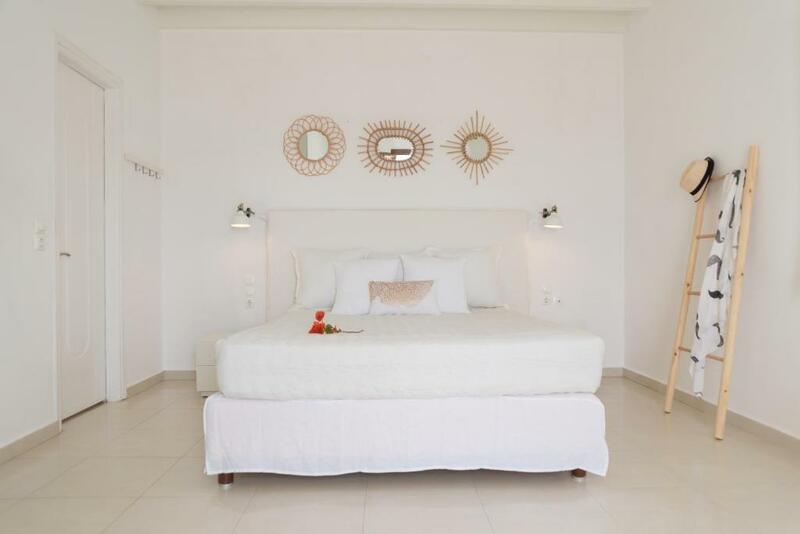 The apartment was very tastefully decorated and had all the home comforts we could need, plus a few nice touches such as complimentary wine and toiletries. It was cleaned everyday to a really high standard. We fully utilised our private terrace by sunbathing and dining al fresco whilst looking out at the sea. 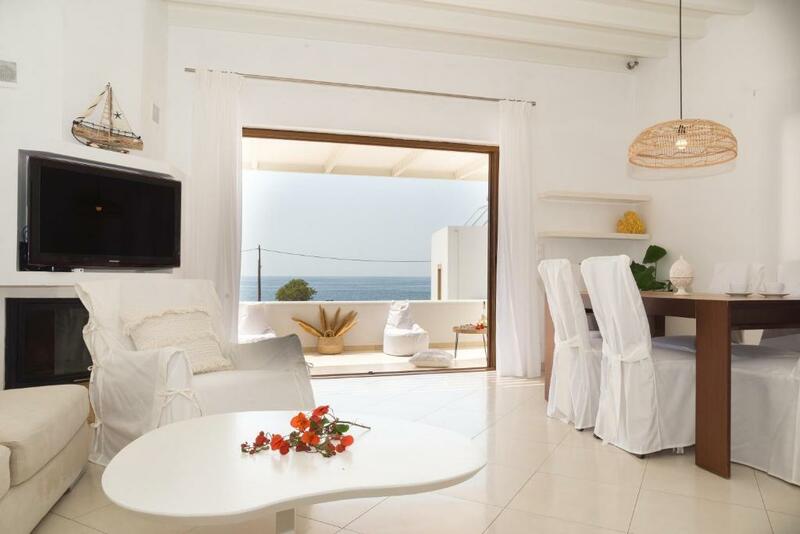 Lock in a great price for Rafaela Apartments – rated 9.7 by recent guests! One of our best sellers in Patmos! 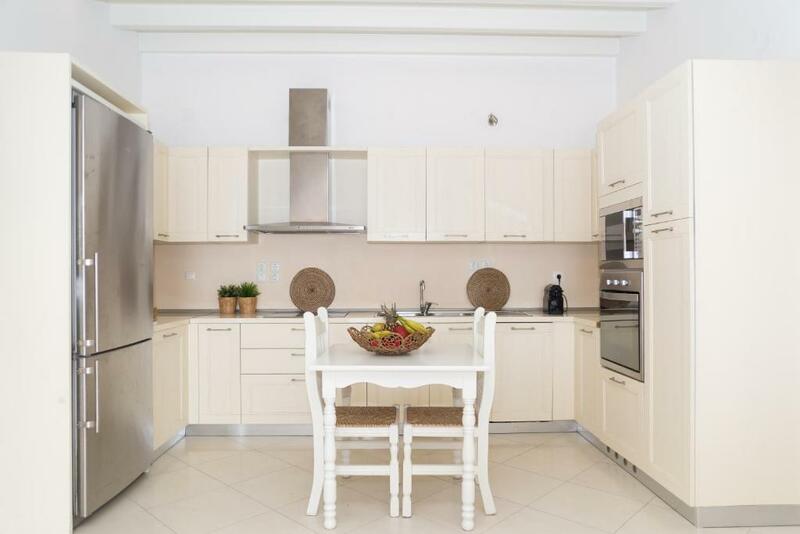 Just 350 feet from the center in Pátmos, Rafaela Apartments feature free WiFi, a garden and sun terrace. Free private parking is available on site. All units are air conditioned and include a seating area. Some units feature a terrace and/or balcony with sea or garden views. An oven and refrigerator are also available, as well as a kettle. Some units also have a kitchen, equipped with a dishwasher and microwave. Bed linen is provided. Free shuttle service from and to the port of Patmos is provided. Car and motorbike rental services can be provided upon request. When would you like to stay at Rafaela Apartments? Split-level studio apartment with a separate bedroom on the attic, an open-plan kitchenette with seating area, and garden view. 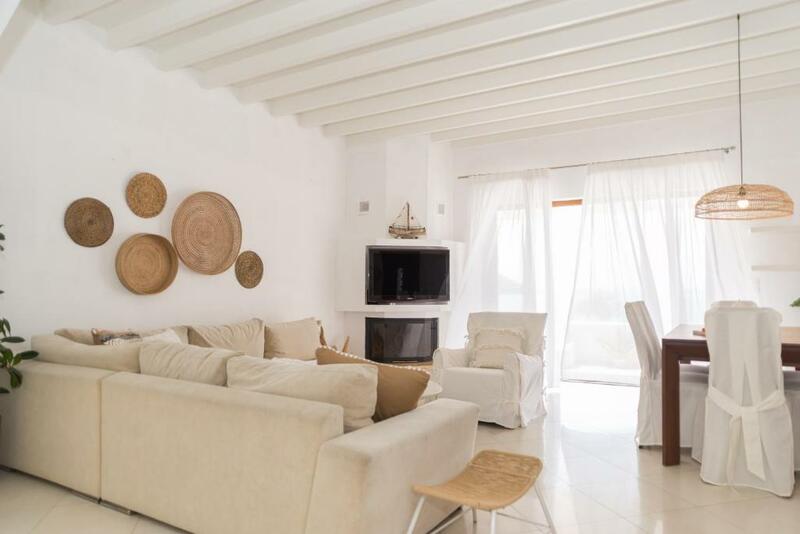 Split-level apartment with a separate bedroom on the low-height attic, an open-plan kitchenette with seating area, and sea view. This apartment features a stovetop, kitchenware and kitchenette. This apartment has air conditioning, barbecue and dining area. Το Rafaela Apartments βρίσκεται στην περιοχή Χοχλακάς στο κέντρο της Σκάλας Πάτμου! Όλα τα διαμερίσματα έχουν εξοπλισμένη κουζίνα! Τα περισσότερα διαμερίσματα έχουν υπέροχη θέα στη θάλασσα! Οι επισκέπτες έχουν δωρεάν πάρκινγκ καθώς και δωρεάν wi fi! Με λένε Ελβίρα και έχω δυο υπέροχα παιδιά... την Ραφαέλα 8 χρόνων και τον Δημήτρη 4 χρόνων! Εγώ και ο σύζυγος μου Γιάννης έχουμε φτιάξει τα διαμερίσματα με πολύ μεράκι και αγάπη για να μένουν οι επισκέπτες μας πάντα ευχαριστημένοι! Τα διαμερίσματα βρίσκονται στην περιοχή Χοχλακάς στην Πάτμο, 100 μ. από την κεντρική πλατεία της Σκάλας όπου υπάρχουν πολλές καφετέριες, εστιατόρια και μπαρ. Η περιοχή είναι αρκετά ήσυχη και φημίζεται για το πανέμορφο ηλιοβασίλεμα. Δίπλα στα διαμερίσματα βρίσκεται και το περίφημο ιταλικό εστιατόριο " 'Οcklacka" καθώς και η γνωστή ψαροταβέρνα " Τρεχαντήρι ". 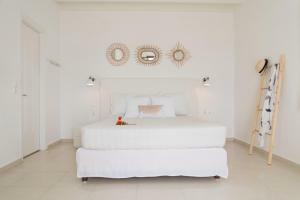 House Rules Rafaela Apartments takes special requests – add in the next step! Rafaela Apartments accepts these cards and reserves the right to temporarily hold an amount prior to arrival. Please inform Rafaela Apartments of your expected arrival time in advance. You can use the Special Requests box when booking, or contact the property directly using the contact details in your confirmation. Very accommodating hosts. Friendly. I would definitely stay there again and recommend it to others. 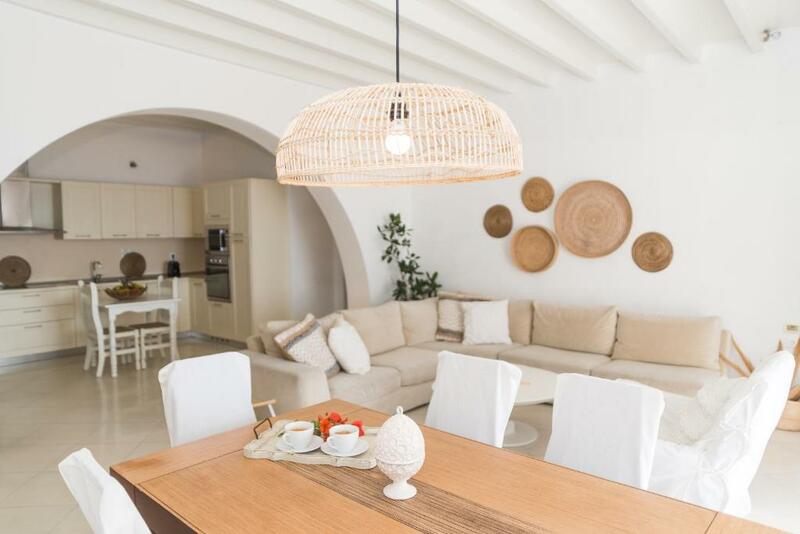 Love the white washed beach look of gone appartment, very nicely decorated. The iron bed which was noisy at every move. Pictures provided were very representative of the room. Small facility, providing all essentials for holidays and long stay. Perfect for people trying to avoid hotels and anything "very standardized". Hosts very welcoming and caring, showing they enjoyed the process of having visitors. Perfect location -within walking distance to stores/restaurants/bars. The apartment's a stones throw from the main square in Skala whilst situated in a very quiet and undeveloped part of town - although this was ideal in lots of ways, the area is rather rough around the edges and our terrace overlooked a builders supply yard. For the most part the apartment was peaceful and relaxed, however it wasn't very well sound proofed so at times we could hear neighbours and it was a bit noisy. 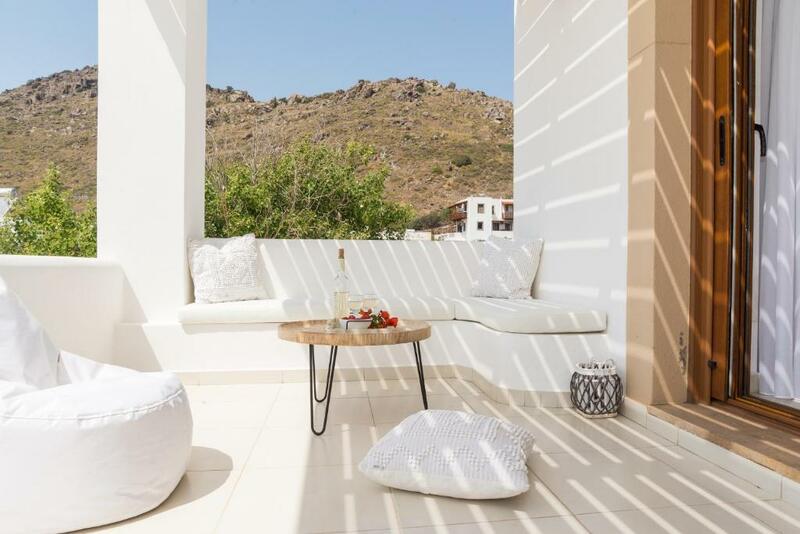 Great place to stay in Patmos, excellent hospitality from the owners, a very beautiful apartment with all necessary facilities and, in sum, a great choice! We will definately visit Rafaela again when we go back to Patmos! Elvira and giannis were a pleasure from start to finish. They picked us up at the port on arrival, were available if needed but also gave us room to enjoy their amazing apartment in peace. The sunset at the nearby beach cannot be topped. 10/10!